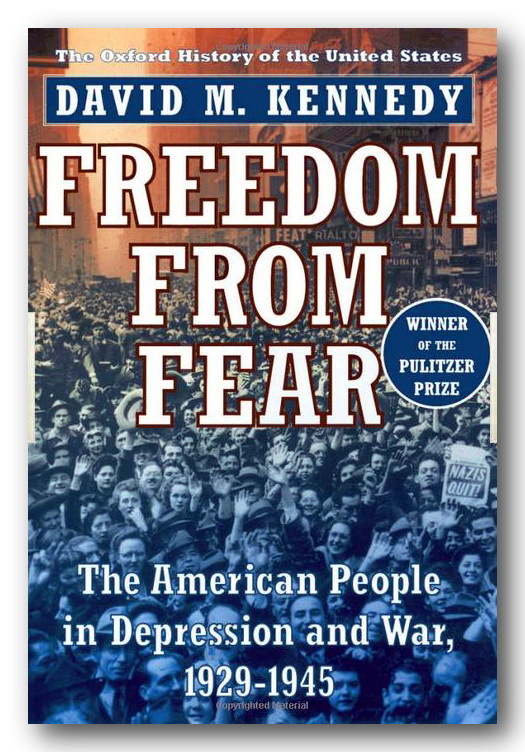 “Freedom From Fear“ earned its author David Kennedy a Pulitzer Prize for History in 2000. I was originally motivated to read this book because of its Depression Era coverage. And yes, if you are wondering, our recent Great Recession displayed frightening similarities to the Great Depression. If you think that Bernanke, Paulson and Geithner went down the wrong road during the past year, “Freedom From Fear” might change your perspective. While the Depression Era history alone was worth the price of admission, the WWII years was even better. What I didn’t know about WWII and the Greatest Generation would fill a large book; and guess what, this is the book! 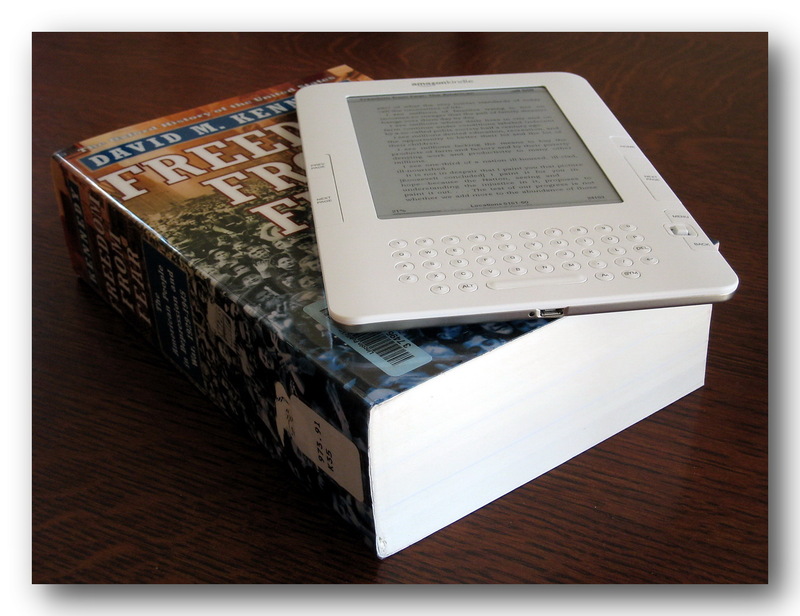 To give you an idea about what I mean when I say “large”, let’s take a look at my Kindle resting on top of the actual print version. The funny part is I had not actually seen the book before I started reading on my Kindle. After weeks of reading I was still only 10% into the book, and it wasn’t until I stopped by the library that I understood why! If you are one of those Americans who believe the French and English would be speaking German if it wasn’t for the USA, this book will wake you up to the fact that Russia is entitled to make a similar claim. Some of the most riveting narrative covers the meetings between Churchill, Stalin and Roosevelt during the course of the war. If, like me, you’ve never read much about the history of this period, and you only want to read one book…then this is your book.